← Damaged paint on mamposteria or block walls. 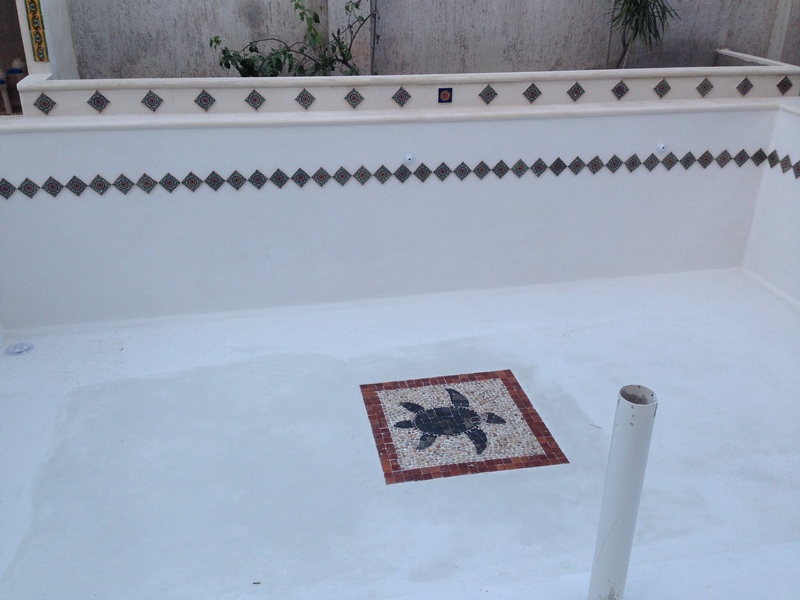 When Jill and Martin, owners of El Bullpen in Chelem, decided it was time for a new pool at their hotel/restaurant, they knew there was really only one choice for professional work. Naturally they called us, Aerocretos de Mexico, for quality, service and price.